We’ve had a lovely weekend of music! On Friday evening, Graham and I went to a concert at the Thaxted Festival, given by the choir of St John’s College, Cambridge. They were breath-taking-ly good! It was a hugely varied programme – Byrd, Haydn, Vaughan Williams, and Britten, amongst others. And as a sort of encore after the encore, the young men of the choir suddenly launched into a fabulous rendition of Surfin’ USA. which brought the house down! Yesterday, we were singing ourselves. 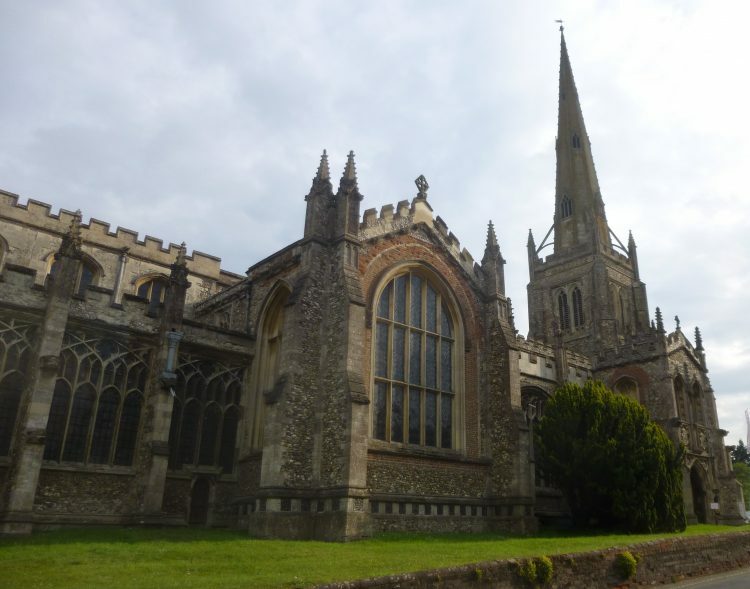 We joined the choir at All Saint’s Maldon, where our friend Stephen Carter is Vicar, to sing for an ordination service taken by the Bishop of Chelmsford, Stephen Cottrell. The anthem, which we sang during the communion was Stanford’s Beati Quorum Via, which was new to both of us. It is a beautiful motet, the third in a set of three, and we have really enjoyed learning it over the last few weeks. 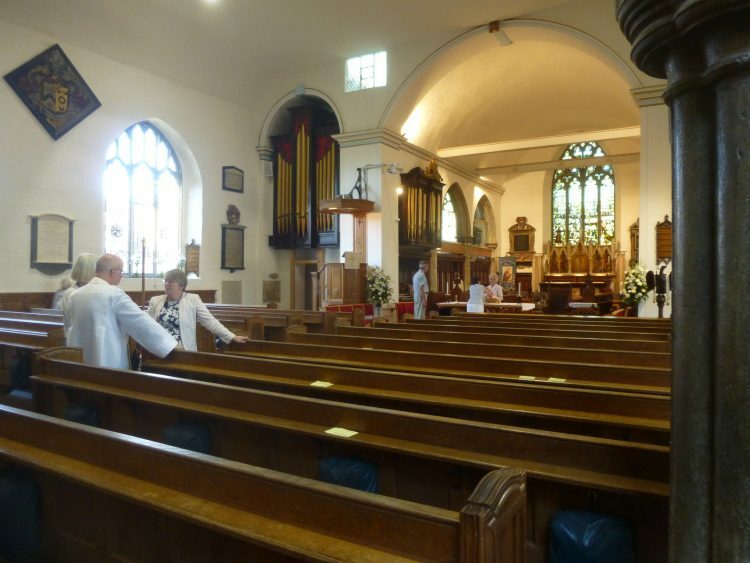 It was a wonderful service, and everyone came out on a high! 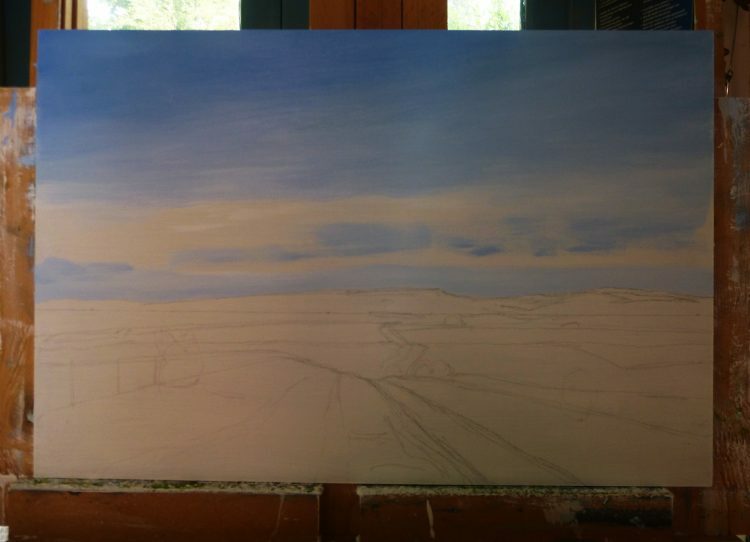 Back in the studio this afternoon, I’ve been making a start on The Ridgeway III. This one is going to be of the first section of the Ridgeway, looking back towards Overton Hill.